Ann Agatha Walker was born June 11, 1829, on Derby Street, in Leek, Staffordshire, England. Her father, William Gibson Walker, was born 7 July 1796 at Leek, Staffordshire, England, a son of James Walker and Elizabeth Gibson. Ann Agatha’s mother was Mary Goodwin, born 8 July 1798, also in Leeks, a daughter of William Goodwin and Hannah Booth. Ann Agatha was the eldest of six children. William Gibson Walker was a schoolteacher, and Mary Goodwin Walker was the town milliner. They belonged to the Wesleyan Methodist Church and were deeply religious. Ann Agatha remembered that her mother often gathered her little ones around her and told them Bible stories. The death dates of Ann Agatha’s parents were: William Gibson Walker, 11 March 1875, in Salt Lake City, Utah. Mary Goodwin Walker died 15 August 1851 at St. Louis, Missouri. When Ann Agatha was eight years old, it was the year of Queen Victoria’s coronation and “the new gospel was brought to England.” The Walker family moved to Manchester and Ann Agatha attended the school where her father taught. Six years later, they moved to Pendleton where William held an office in the Wesleyan Methodist Church and was a local preacher. Mormon missionaries were there in Pendleton, and William became interested in the Church. He started attending their meetings, but sat where he couldn’t be seen because of the office he held in his own religion. A few weeks later, he and his family were all baptized at the same time, except his daughter, Dorcas. William was ordained an elder at the water’s edge and was immediately sent to labor in the ministry of the gospel. It was the desire of all to come to Zion and join the Saints. 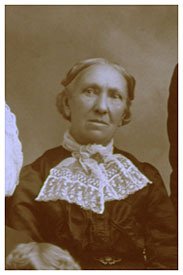 When Elders Parley P. Pratt and John Taylor and others completed their mission, Ann Agatha was the one from her family to return with them to America. She was seventeen at this time. The group sailed from Liverpool in the new ship, America, January 19, 1847. After nine days of severe weather, they sailed back to Liverpool and, on January 29th, the journey was started again. It took thirty-five days to reach New Orleans where they were delayed a couple of days by fog before they could enter the port. They traveled on a Mississippi river boat to St. Joseph, Missouri. They met Elder Pratt again when he arrived in Winter Quarters about April 8th. It was here that Ann Agatha married Parley P. Pratt on April 28, 1847. They were married by Apostle John Taylor. She was his tenth wife and they became the parents of five children. In her journal, Ann Agatha records: “My wedding day was April 28, 1847. I married Brother Parley P. Pratt (right), an Apostle in the Latter-day Saint church—a very fine man, a true and loving husband always. My husband, being in charge of the company, was extremely busy mending wagons, looking up yoke-bows, making boy-keys, or pins to hold the bows in the yokes, hunting up the cattle, mating them, finding chains, especially lock-chains, for bear in mind there were no brakes to hold wagons back when going down steep hills in those days. These and a hundred other things occupied his time. Meanwhile we were busy making and mending wagon covers, and in every way aiding and assisting to prepare for the long and toilsome journey. “To aid him, two of us women, which included Belinda Marden Pratt, sixth wife of Parley P. Pratt, and I, thought we would manage without his help to drive our own team, which consisted of a yoke of oxen. Belinda’s (1 year old) son, Nephi, accompanied us. At last we started and got as far as the Elk Horn River, early in June, where we camped about a month waiting for the rest to arrive, so as to organize into companies of hundreds, fifties, and tens. Ann Agatha’s shoes were worn out when they arrived in the Valley. Of course, no shoes were available anywhere, but she was able to trade a necktie she had for a piece of buckskin a lady had bought from the Indians, and made herself a pair of moccasins. Ann Agatha was the first milliner in Utah, and since she had learned the trade from her mother in England, she was an expert. Besides hats, she also made shoes for the apostles’ wives and other women and girls of Salt Lake. Parley was assassinated May 13, 1857, near Van Buren, Arkansas, by Hector McLean. Elenor J. McComb had married Hector McLean and had three children. 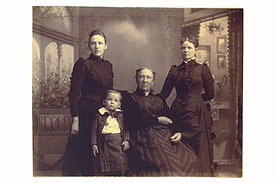 They were living in San Francisco where they heard the Gospel and Elenor and her two sons were baptized, but Hector did not accept Mormonism and did not want his children to belong to the Mormon Church so he sent them around the Horn to New Orleans to be cared for by Mrs. McLean’s parents. Elenor became acquainted with Parley P. Pratt on one of his missions and divorced her husband, then came to Utah where she was married to Apostle Pratt in Salt Lake City in 1855. Hearing that her children were at her father’s home she made plans to go to New Orleans and gain possession of them. When Elder Pratt was called on a mission she accompanied him and went on to her father’s house where she was united with her children. Hector McLean and two accomplices caught up with Elder Pratt twelve miles northeast of Van Buren (near Alma, Arkansas) in front of the Winn Farm. McLean fired shots at him and then stabbed him in the left breast with his bowie knife and shot him in the neck. Mr. Winn was a witness to the entire scene. He and some of his neighbors attended to Parley in his dying moments, and were told by him how to notify his family and the disposition of his personal effects. He then bore a firm final testimony of the truthfulness of the Gospel to them and that Joseph Smith was indeed a prophet of the living God, and told them ”I am dying a martyr to the faith.” He was buried in Sterman’s graveyard (now known as Fine Springs). At the time of Parley’s death, Ann Agatha was only twenty-eight years old. She and Parley had five children: Agatha, born 7 July 1848 (died 12 August1914); Malona, born 15 April 1850 (died 27 Oct. 1913); Marion, born 28 November, 1851 (died 6 October 1852); Moronl, born 10 October 1853 (died 28 June, 1911); and Eveline. born 8 August 1856 (died 16 August 1917). Ann Agatha was still so young and left with her five young children. 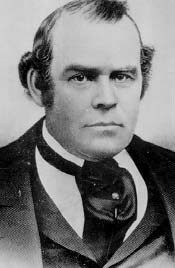 Three months after Parley’s death, she was asked by Joseph Harris Ridges, builder of the Tabernacle Organ, to be his wife. By counsel of President Brigham Young, she was married for time to Joseph Ridges, 4 March 1860. Two children were born to them—a daughter, Louise, who died in infancy, and a son, Wilford Owen Ridges. Six years after Ann Agatha married Joseph Ridges, Joseph took for his fourth wife, Agatha Pratt, daughter of Ann Agatha and Parley P. Pratt. About this time Ann Agatha discontinued living with Joseph Ridges, although there is no record of a divorce. Ann Agatha was an ardent church worker with a strong testimony of the gospel. 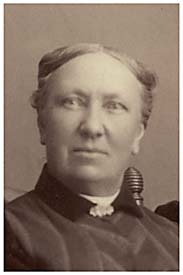 Among her many positions in the church, she served as Relief Society president twice. She was a member of the Tabernacle Choir for many years. She was active in the new movement, The Retrenchment Society, in 1870. 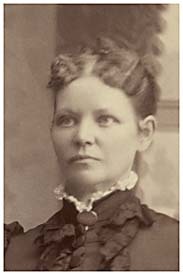 In 1890, Ann Agatha moved with her youngest son, Wilford Owen Ridges, to Ogden, Utah (her home was at 3162 Adams Avenue). Two years later, Wilford Owen left for a mission to the Southern States. All who knew Ann Agatha loved and respected her. She worked hard all of her life and was never known to complain. She came through her hardships and sorrow with faith, pride, and a sense of humor. During her last years, she was to a great degree deprived of her sight, but she continued to write and kept herself well posted on current and general events. She kept close contact not only with her children, but also with her grandchildren. She was a kindly person who wanted to give more than to receive. She was a typical pioneer grandmother, one who kept the cookie jar filled. The grandchildren recall that they never went into her home but they were well received. 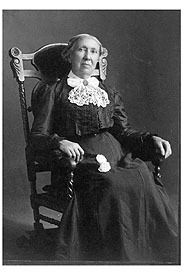 Ann Agatha Walker Pratt died in her home in Ogden, Utah, on June 25, 1908. 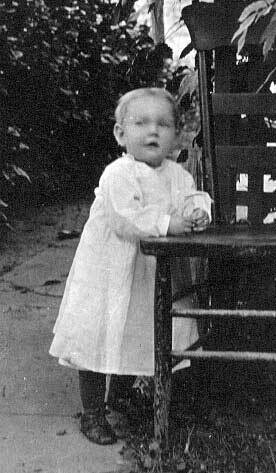 Her granddaughter, Hazel Pratt Christensen, wrote: “In the spring of 1908 she (Ann Agatha Pratt) fell and hurt her hip She died of yellow jaundice and I would say that this was brought on partly by the accident; at least It didn’t do her any good. She was up and around till perhaps a month before she died; she would have chills and fever.” Even though her eyesight became very dim in her declining years, she could see well enough that she always kept tidy, neat, and clean.